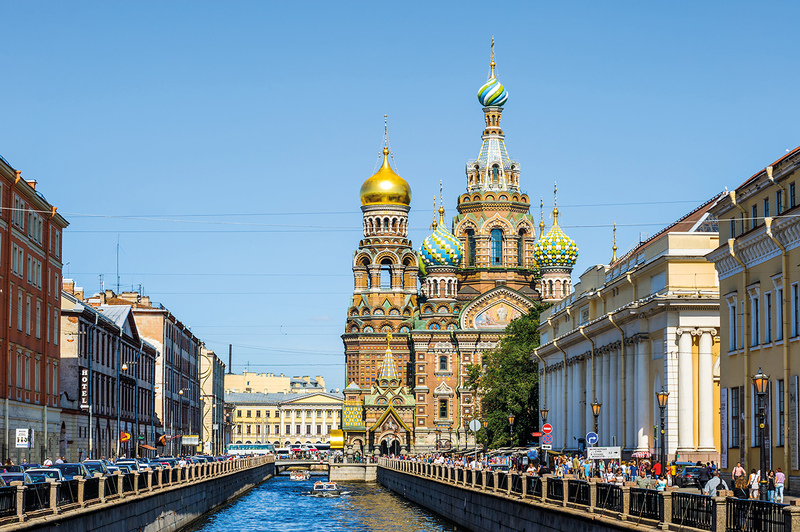 The fourth day of my cruise aboard Viking Sea brought us to St Petersburg, the port I’d most looked forward to, and first impressions were everything I’d hoped for: the dreary grey architecture, the tense atmosphere, the stern men in fur hats and trenchcoats giving nervous American tourists the eye. Yes, I could have been starring in my very own Cold War spy thriller. We were only waiting to pass customs – travellers to Russia usually require a visa, but cruise-ship passengers are allowed three days visa-free, as long as they stay with a guide – and already this enigmatic country had me in its grip. The real delights were still to come, however, and soon I found myself in the shadow of St Petersburg’s most celebrated sight, craning my neck to wonder at the bright colours of those famous onion domes. The Church of the Saviour on Spilled Blood – so named because this was the spot where Tsar Alexander II was murdered by political activists in 1881 – is a church built in the traditional, highly florid Russian baroque manner. And while it’s certainly a spectacular sight from the outside, the interior is every bit as jaw-dropping, with more than 7,500 square metres of mosaics depicting religious scenes, and a jewel-encrusted shrine built on the very spot where the Tsar met his death. But there’s more to St Petersburg than just one church, and the best way to see it is by canal boat. Often referred to as the Venice of the North, this is a city laced with waterways, and while the experience may be a little touristy, a boat ride offers the chance to see it from a unique perspective. You’ll pass by the Winter Palace and the Hermitage Museum – home to more art treasures than anyone can count – and you’ll see the Summer Palace of Peter the Great (tsar from 1682 to 1725). An excursion can also include the Mariinsky Theatre and the Fabergé Museum, but you have to stick with the guide throughout, as per entry restrictions. All of these are fabulous sights, but I’m getting ahead of myself. The Viking Homelands itinerary had already shown us many wonders, well before Mother Russia wrapped me in her embrace – not the least of them Viking Sea itself. 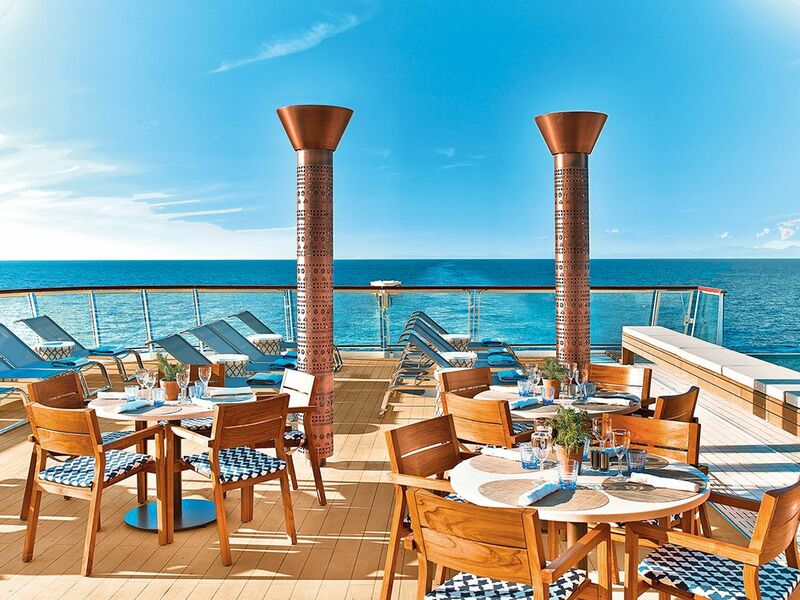 With accommodation for just 930 guests, this is refined small-ship cruising at its best. The decor is exemplary Scandi-chic: clean, elegant and uncluttered, from the public areas to the cabins, every one of which has a balcony. Indeed, so welcoming are the staterooms that you could happily while away the day, reading on the sofa and quaffing your complimentary bottle of champagne. Should you venture out, you’ll find there’s plenty to keep you occupied. You can soak up the sun in Viking’s delightful infinity pool, enrich your mind with one of the daily talks held in The Theatre on Deck 2, play some Scrabble in the Viking Living Room or try to get in shape on the sports deck. The musical entertainment seemed to hit all the right notes, too, whether it was the pianist tickling the ivories pre-dinner in the atrium, the string trio putting a classical twist on modern tunes in the top-deck panoramic lounge (a fine spot to enjoy a drink while watching the world go by), or the resident band, whose old-school soul classics got the dancefloor jumping in nightclub Torshavn. The chance to burn some calories was welcome, actually, because Viking Sea has some of the finest restaurants I’ve had the privilege of trying. Even the main dining room – a hit-and-miss experience on many ships – was superb throughout, and the option to turn up at any time during service without a reservation was much appreciated. The two speciality restaurants, The Chef’s Table and Manfredi’s Italian, were also sublime and – better still – are included in the fare. Manfredi’s steaks were incredible but for me The Chef’s Table stole the show, offering a five-course fine-dining exploration of each country we visited. Best of all was a bowl of tender lamb fårikål (lamb and steamed cabbage, essentially) to celebrate the cuisine of our first port of call, Stockholm. 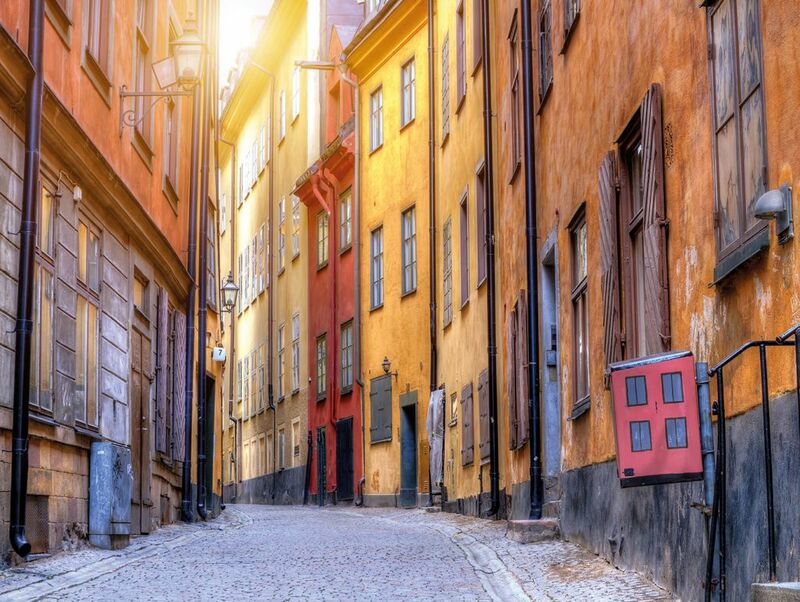 We’d just enjoyed a wonderful afternoon exploring this seductive city, and although there was (sadly) no time to immortalise myself in an ABBA video at the museum dedicated to Sweden’s most famous export, I took the opportunity to explore the pretty Gamla Stan (Old Town) and get lost in its twisty-turny cobbled streets. I was so charmed that I hardly even begrudged the price of a beer (120SEK or roughly £12 a bottle, enough to make a grown northerner cry). Lovely as Stockholm is, any seasoned sailor will tell you that leaving it is one of the best experiences you can have there, simply because the sailaway through the Swedish Archipelago is one of the majestic moments in cruising. With 30,000 islands, skerries and rocks making up 80km of picturesque seascape, it is a joy to sit on the top deck and pick out the small, brightly coloured summer houses of the people lucky enough to have a home here. 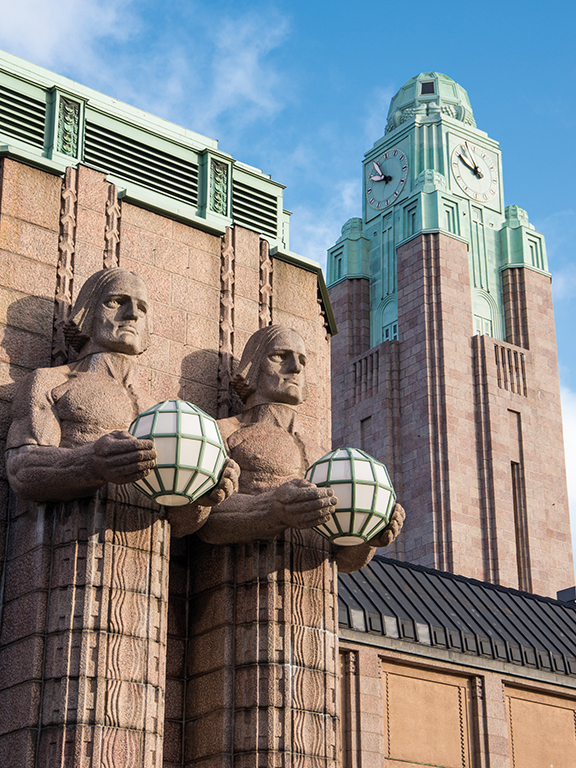 Next came Helsinki, and the gleaming Finnish capital quickly won me over. I loved the Moomin cafés, celebrating the children’s characters of local author and artist Tove Jansson, and I was mightily impressed by the huge Art Nouveau railway station and the Byzantine architectural stylings of the Uspenski Cathedral. I can also recommend a stroll along the Esplanadi – think of it as a Finnish version of Manhattan’s Central Park, where cafes and boutique shops mix with a welcome splash of greenery. Our tour guide told us that to experience an authentic slice of Finland you had to visit the indoor Old Market Hall and tuck into a slice of Rudolph. Yes, reindeer is a delicacy in Finland and is served in pretty much every style you can imagine. If you must know, it tastes a bit like bacon – but I drew the line at sampling the bear meat found in tins stacked up to the heavens. Leaving Helsinki behind, Viking Sea turned east across the Gulf of Finland for my final destination and hoped-for highlight, St Petersburg. It won’t have escaped your notice that Britain’s relations with Russia have turned frosty of late, yet I must say I found it to be a welcoming country. In fact, the only time I felt nervous during my two-day sojourn was at precisely midday on the Palace Bridge, when a huge boom echoed out across the city. Being the brave soldier that I am, I threw myself to the ground and covered my head. Moments passed before I realised that Mr Trump hadn’t started a third world war, and that all I could hear was the gentle sound of Russian laughter. It turns out that in St Petersburg it is a local tradition to fire a cannon at noon, and the tour guide had failed to tell me. Who says the Russians don’t have a sense of humour?